We were going to accomplish two big things yesterday – swim lessons in the morning and school in the afternoon. We successfully had the older three’s 40-minute swim lessons in DeWitt, Iowa in the morning and celebrated with Lunchables at Lincoln Park. Unfortunately, we didn’t get any school done in the afternoon as my oldest ended up vomiting in the back of the van on the way home from our morning outing. Apparently, Lunchables plus hot sun plus vigorous swinging on a tire swing plus a van ride home do not mix. My afternoon suddenly opened up and became rather quiet as I had him join his siblings in taking an afternoon nap. (I wanted to ensure that it was a “fluke puke” and not sickness settling in!) I decided to seize the opportunity of the rareness of my quiet afternoon by being undistractedly productive. I was going to have a Little Rock Day. 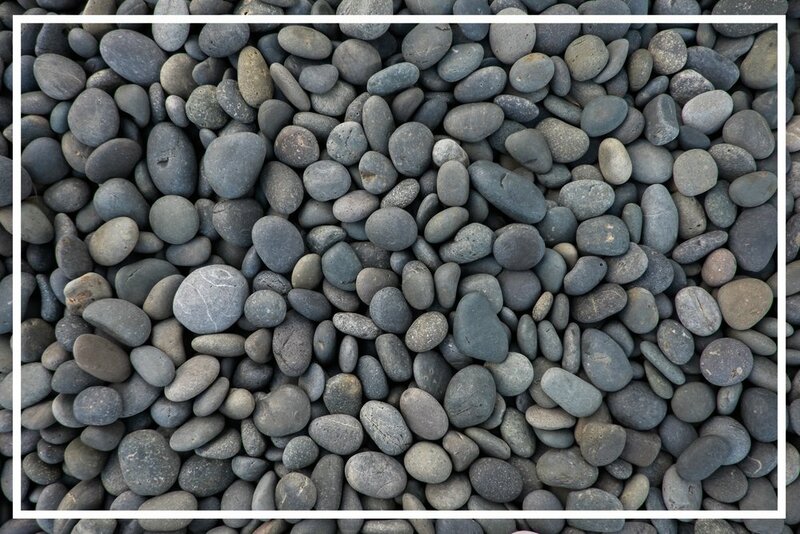 You might have heard of the wording “big rocks” and “little rocks” when it comes to productivity and time management. Essentially, you should begin your day with your biggest rock – the thing that takes priority and trumps all the other tasks for your day. This is the thing that truly needs to get done. After you’ve completed your big rock(s), then you can move onto your little rocks – the things that still need to get done, but perhaps aren’t as pressing nor important. The thought is that if you do your “first things first,” then you’ll end up being more efficient, productive, and successful. Now with that being said, there are stretches of days and weeks where the big rocks DO end up getting done, and then the day abruptly ends - before I had the chance to address my little rocks! In those seasons, those smaller tasks tend to roll over to the next day…and the next day after that. There are times when pure exhaustion sets in, and wisdom is found in simply going to bed because it will all be there in the morning. And then there are times when those things keep me awake in bed because it will all be there in the morning. And so, I spent the rest of my day yesterday addressing the “very little” rocks that had been collecting in the crooks and crannies of my heart and home. I decided to complete those projects that had been neglected for weeks and months. I started with randomly hot-gluing my daughter’s broken flower ring from a quarter machine - along with two hair bows that had fallen off their clippy. I smiled. I felt lighter. As the children continued to nap hour after hour (they took long naps yesterday! ), I continued on with my Little Rock Day. I began soaking the stained laundry in Oxi-Clean; filling out our RSVP to two wedding invitations; hot-gluing the tail back on a decoration cardinal that my two-year-old had pulled off; taking the “tiny things” that always seem to collect in the laundry room back up to their appropriate rooms; getting the mail; changing the sheets on my daughter’s bed; washing the booster cover after our unfortunate incident; updating and packing my Back-up Bag with seasonal-appropriate clothes and correct sizes for the van (along with the Hoody Bag); sticking a handful of outgrown children’s clothes back into their respective totes in storage; hanging up a scripture verse card; sorting toys; sweeping a portion of the garage; stocking bottled water in the fridge; returning tools from previous projects to their proper places; storing a set of golf clubs and shoes in the Golf Closet; installing an outlet cover; taping up the spine of a ripped children’s book; assembling and addressing a box; ripping newspaper into strips to mail a candle in said box; folding my Tea Party cloth napkins; washing a dirty rug; breaking down three large cardboard boxes; and ironing little-boy shirts. Not one particular project or “little rock” took longer than 10-minutes. But with each “little rock” crossed off the list and tossed from my pocket, I felt that much lighter. I learned yesterday that rocks weigh you down – no matter how big or small they are. My pockets aren’t quite as full of them after yesterday and I am exhausted as I am proud. I think that it would be beneficial to schedule a Little Rock Day once a month, or better yet, deal with them before they become a collection. Either way, the little things are big deals and it sure feels good to have dealt with a handful of them.